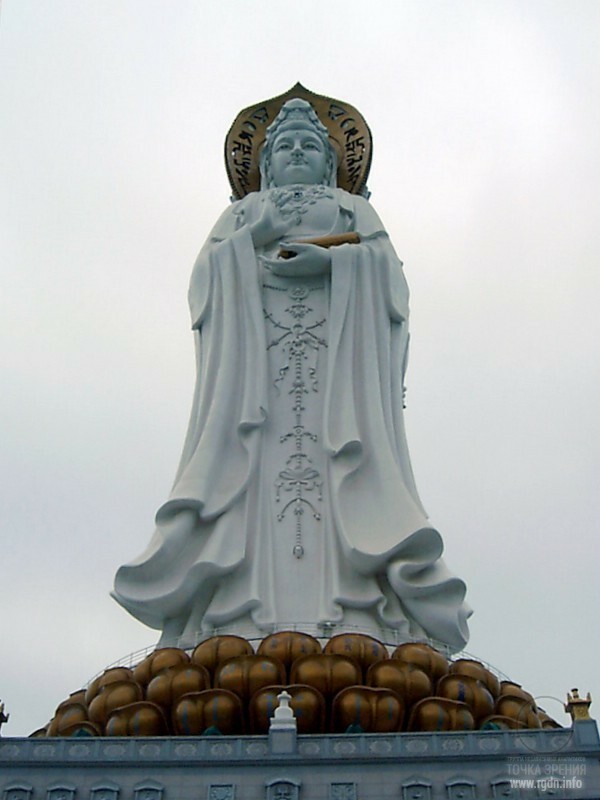 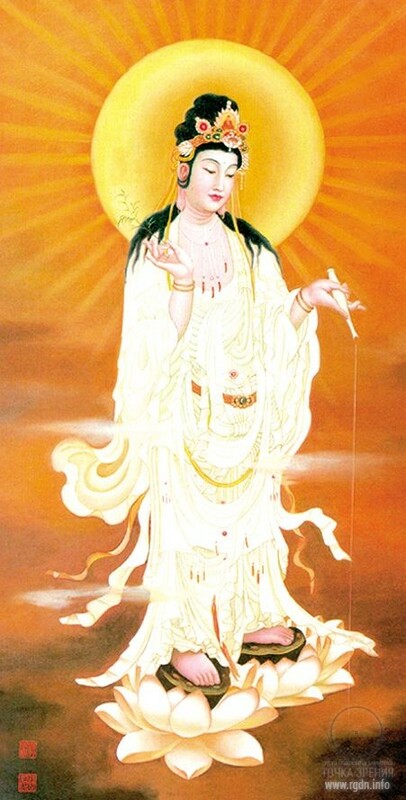 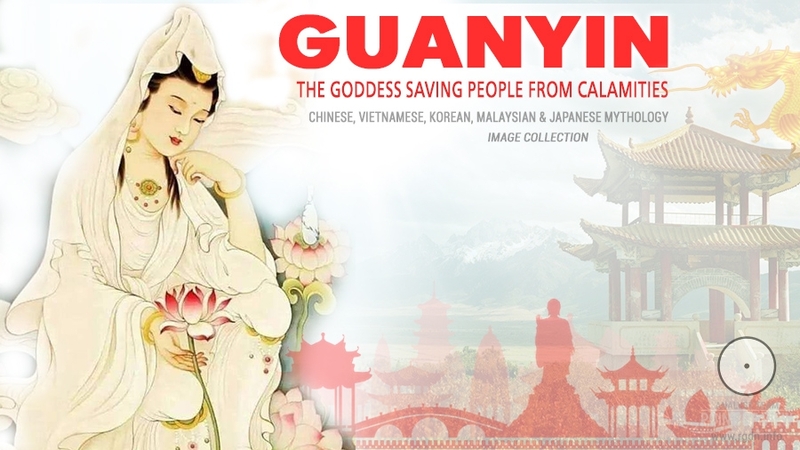 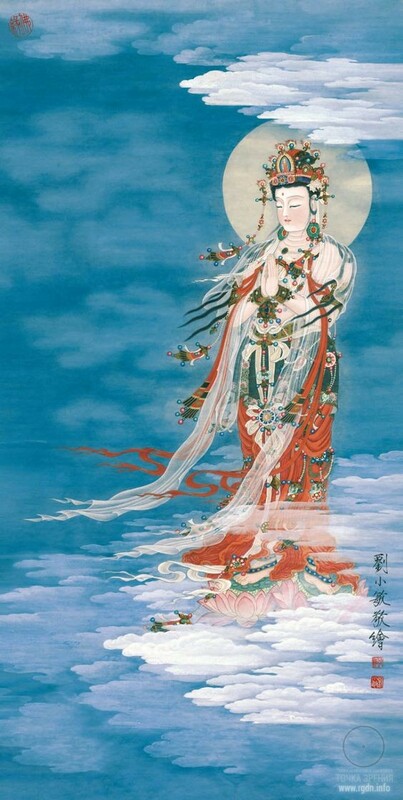 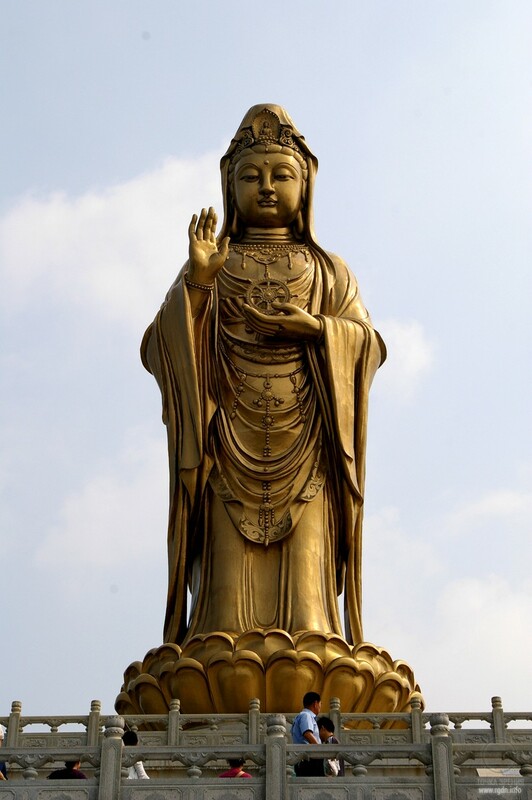 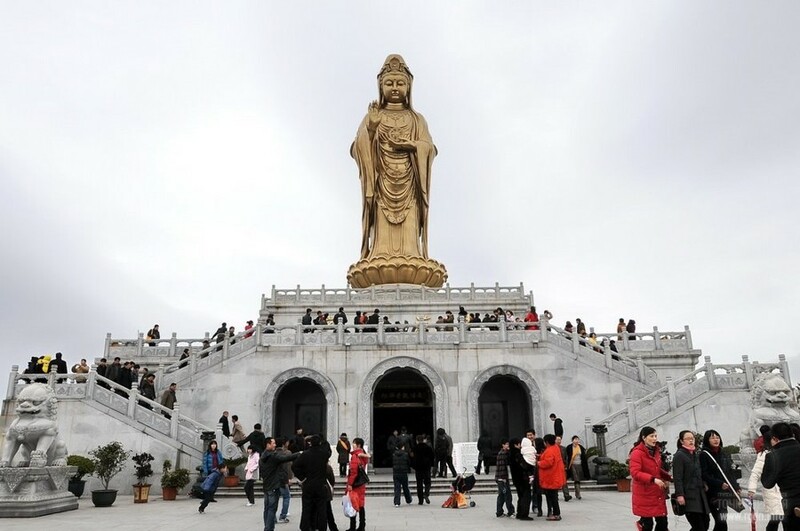 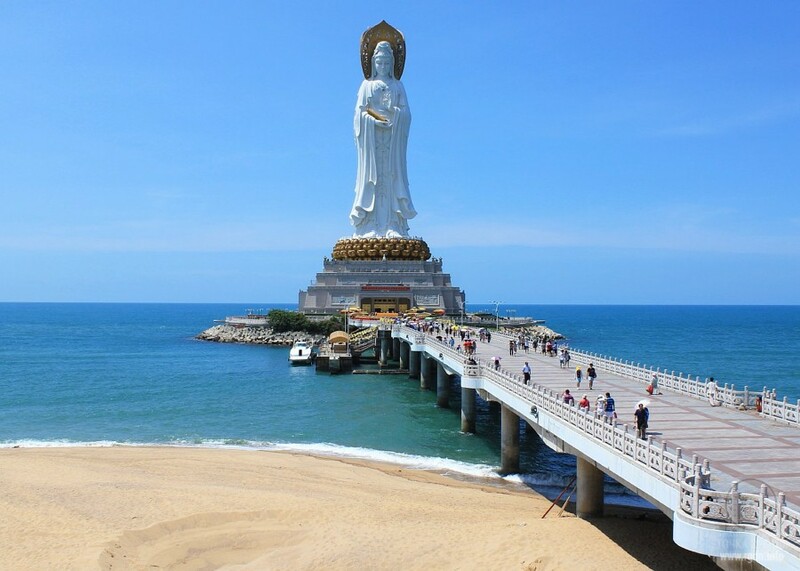 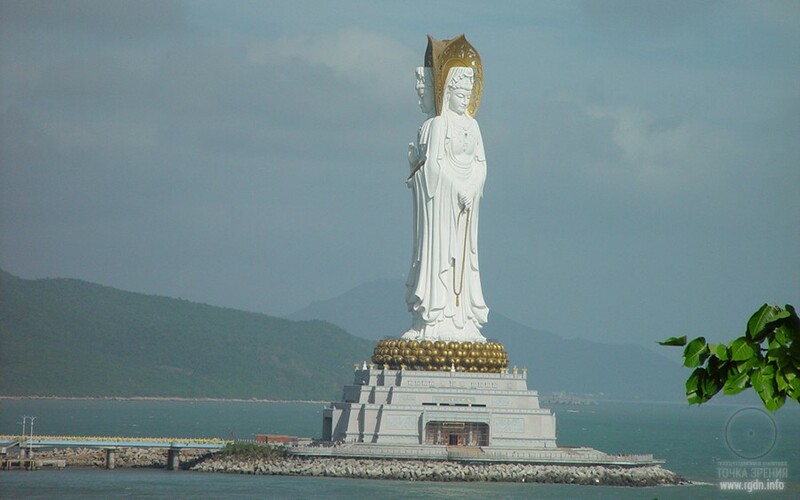 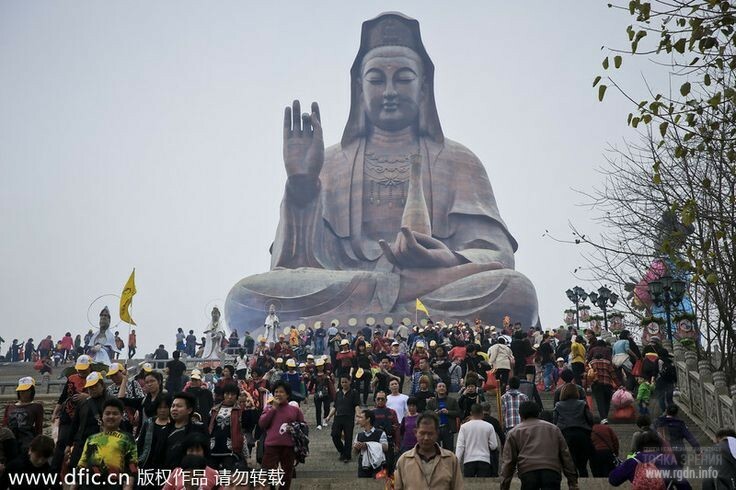 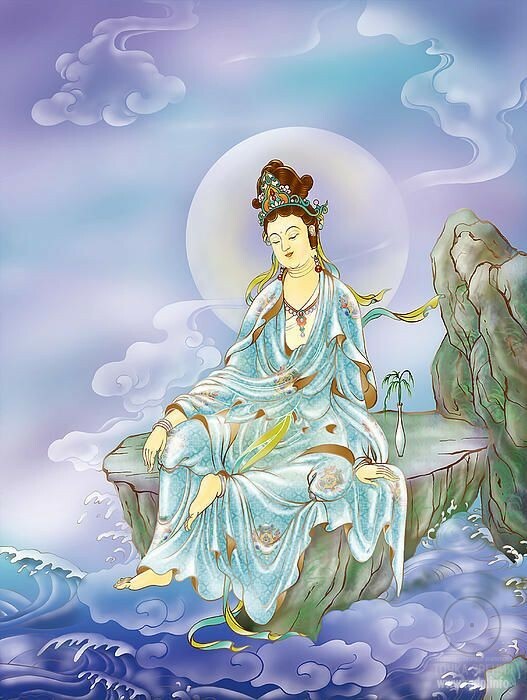 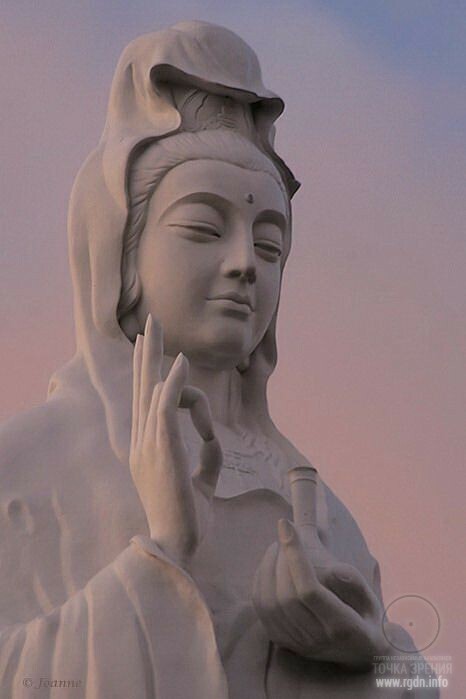 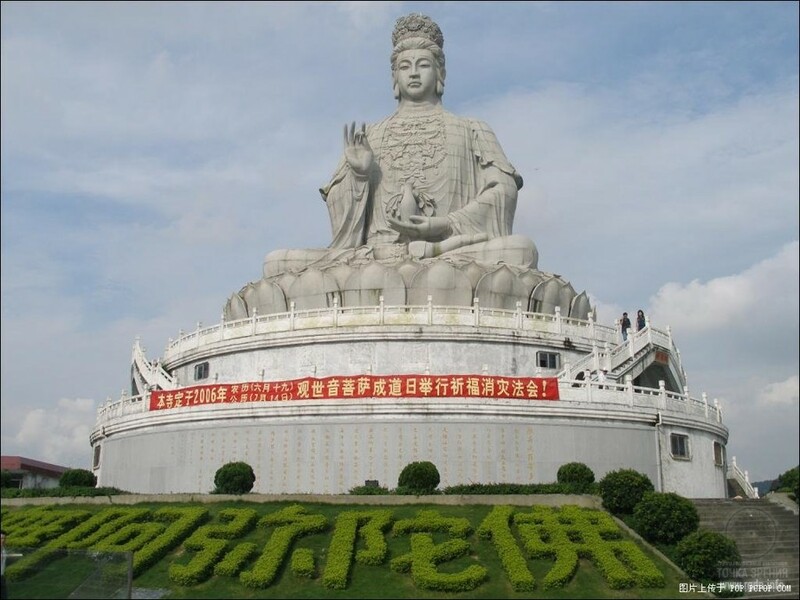 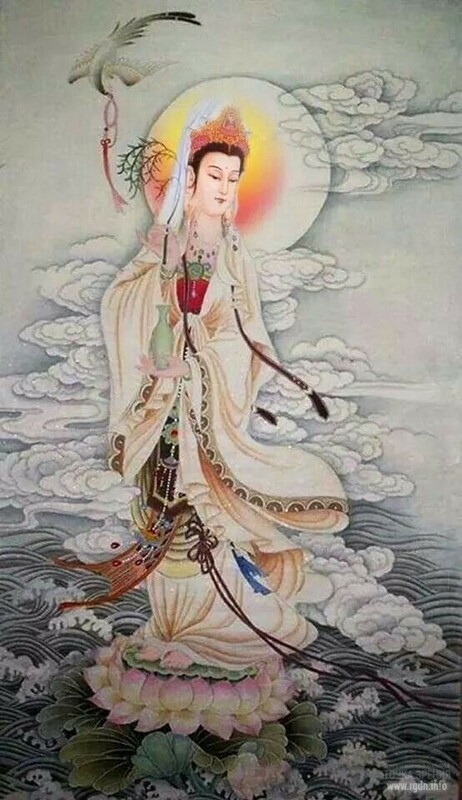 Guanyin on Hainan Island, China – 108 metres in height. 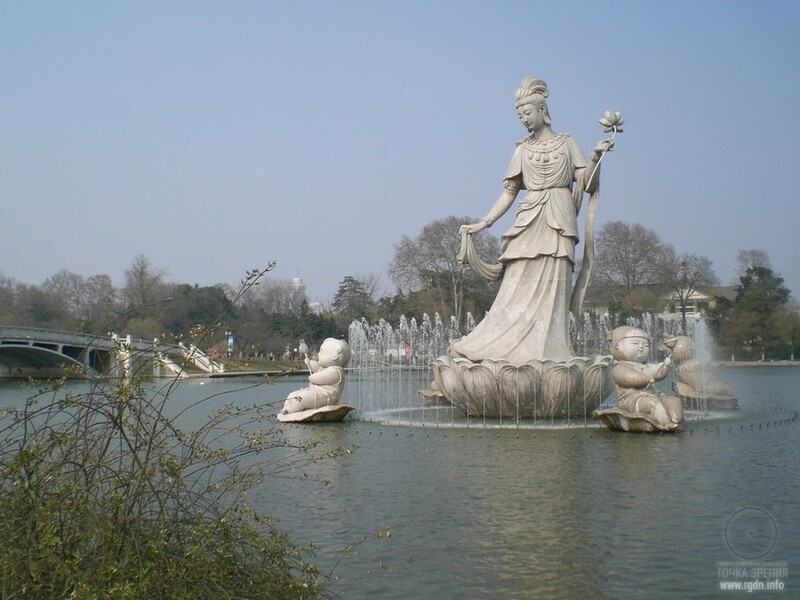 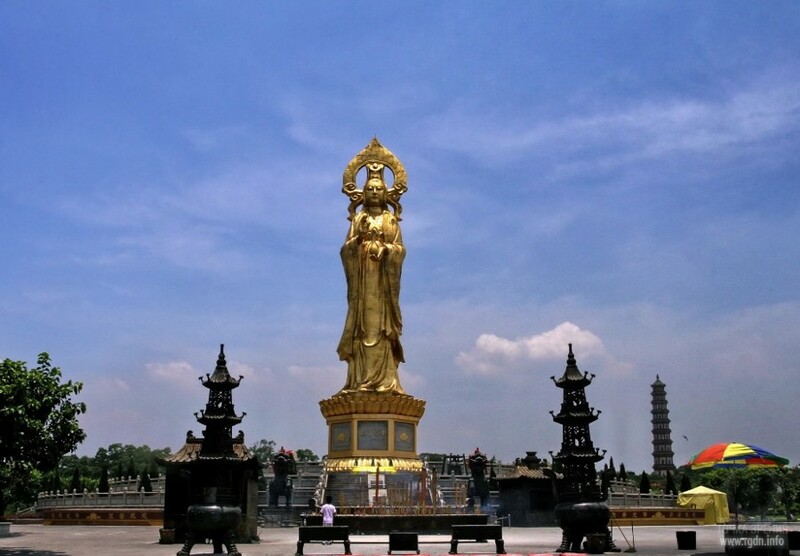 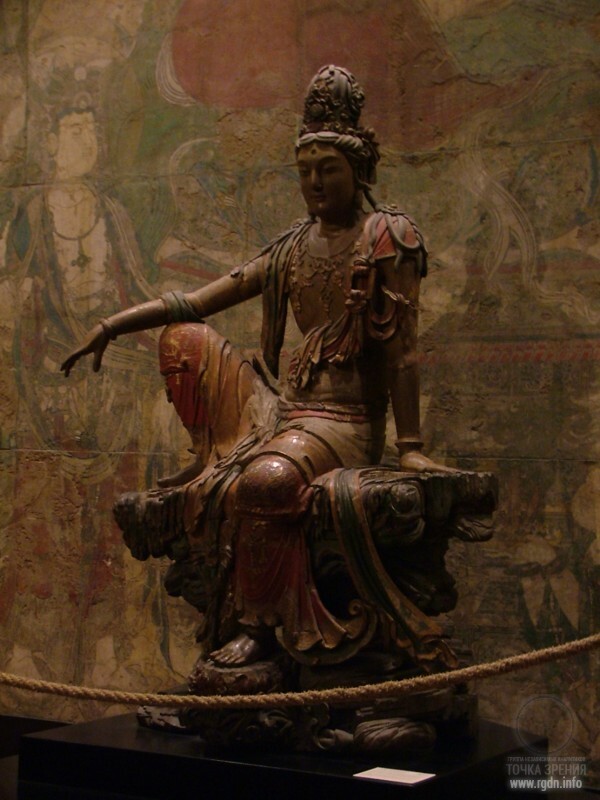 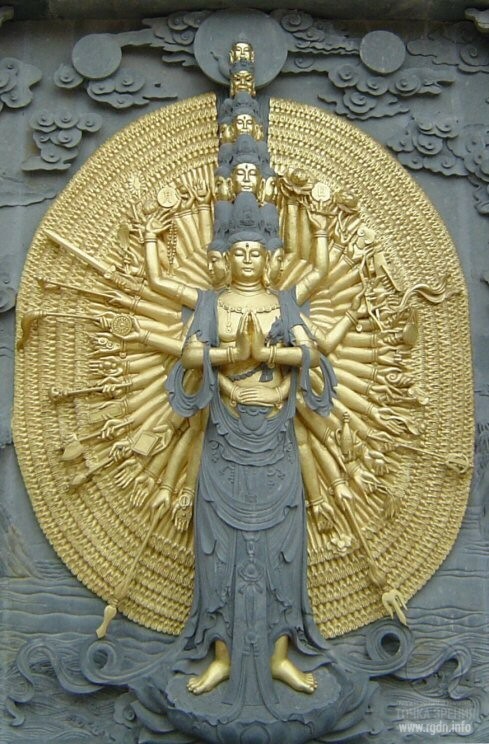 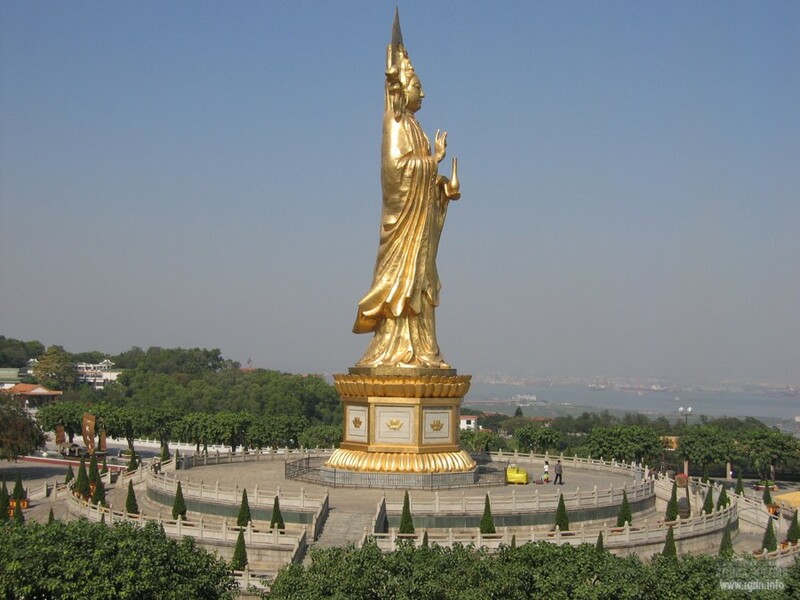 The golden statue of Guanyin in the city of Guangzhou with its 8-million population. 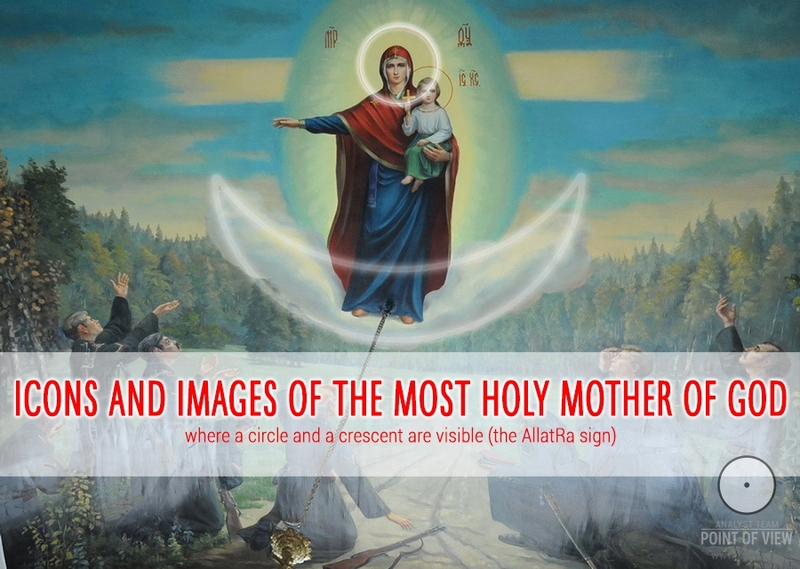 Look, she has a real AllatRa sign over her head!she has a real AllatRa sign over her head. 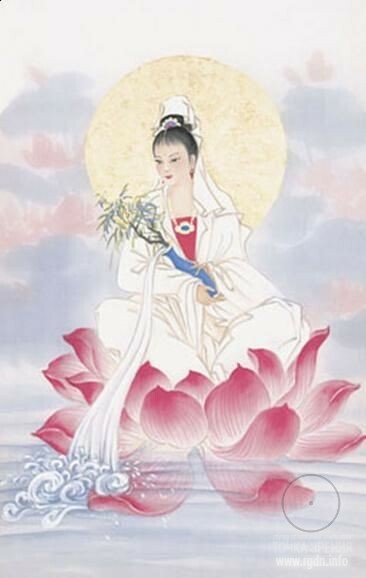 Below you can see plenty of her photographs, all taken in the PRC. 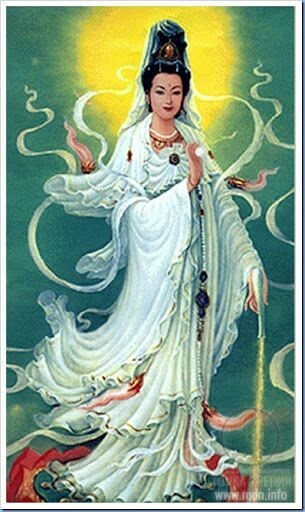 No matter in which part of the world she is depicted with adaptation of her image to local traditions, the Blessed Virgin remains beautiful everywhere! 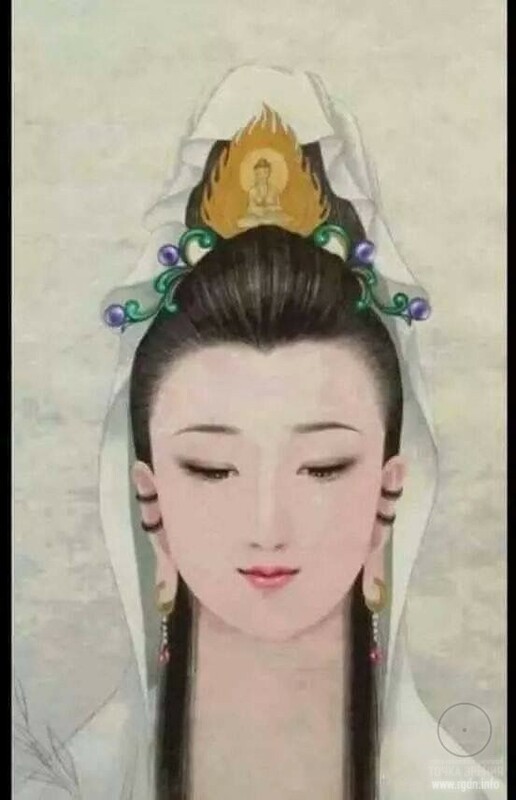 Doesn’t she? 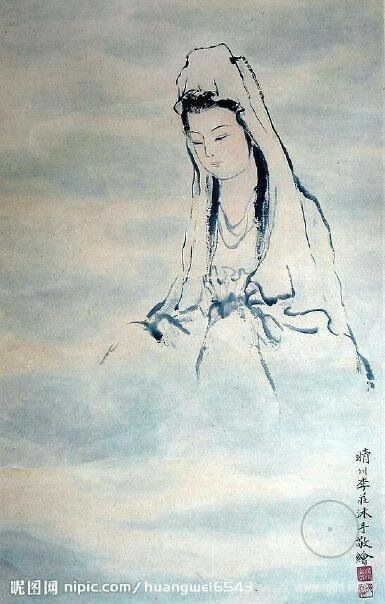 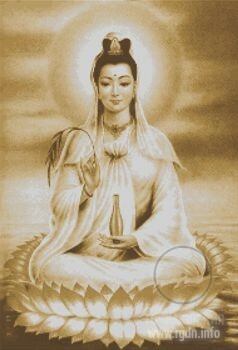 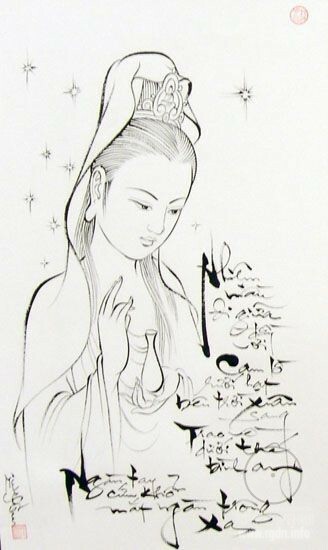 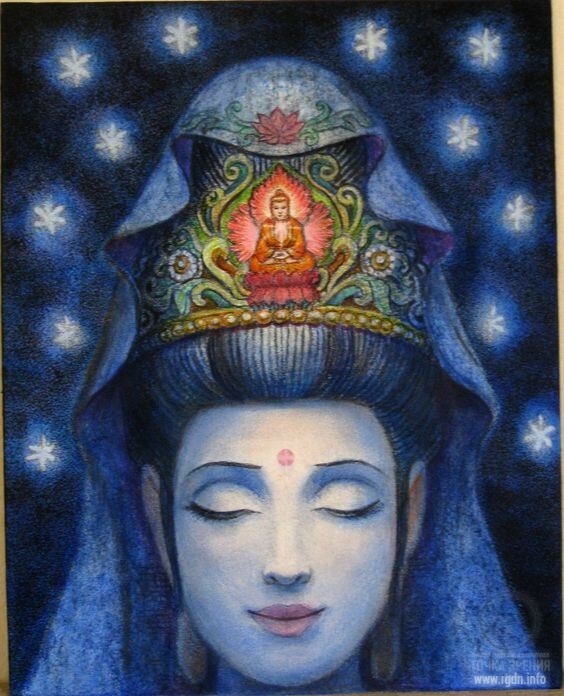 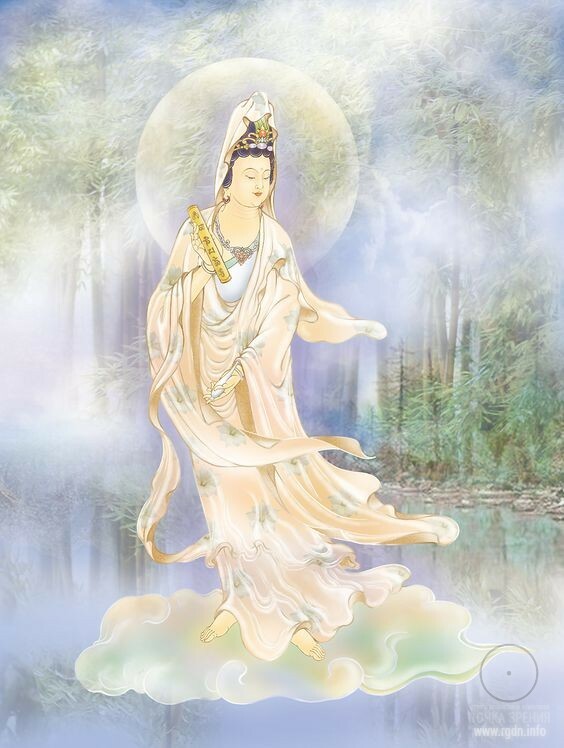 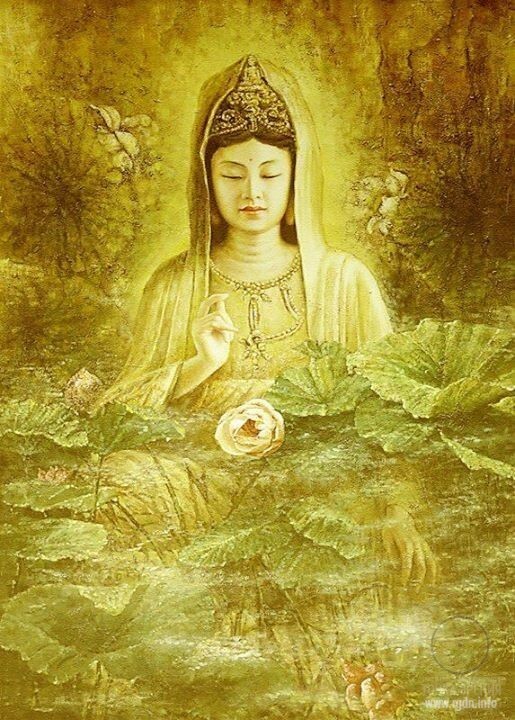 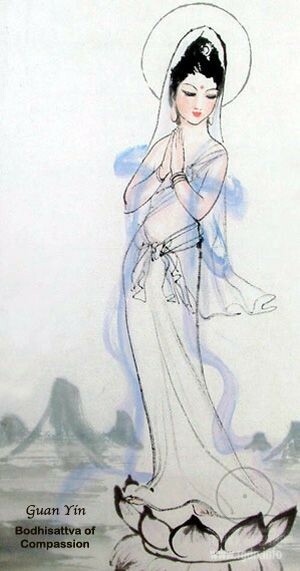 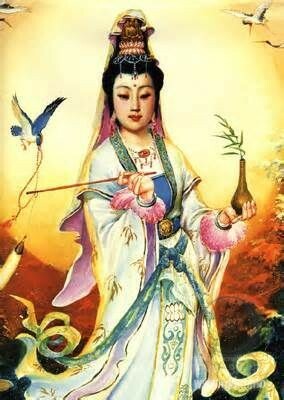 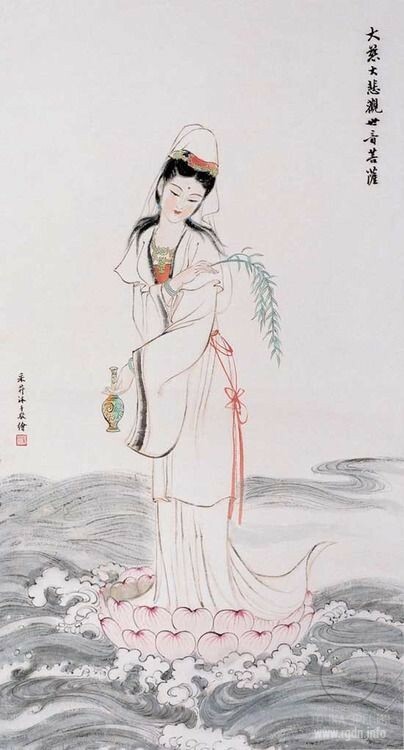 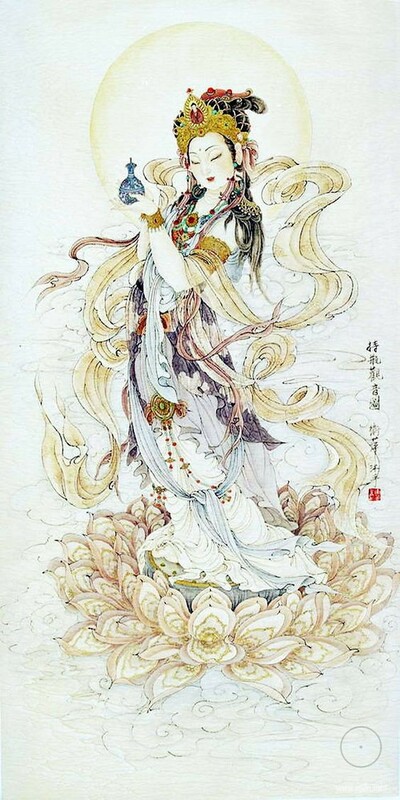 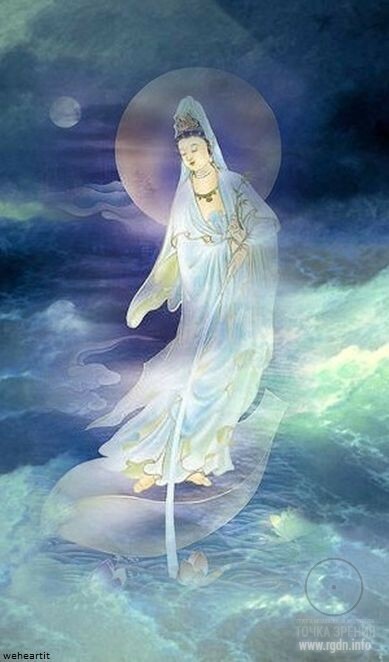 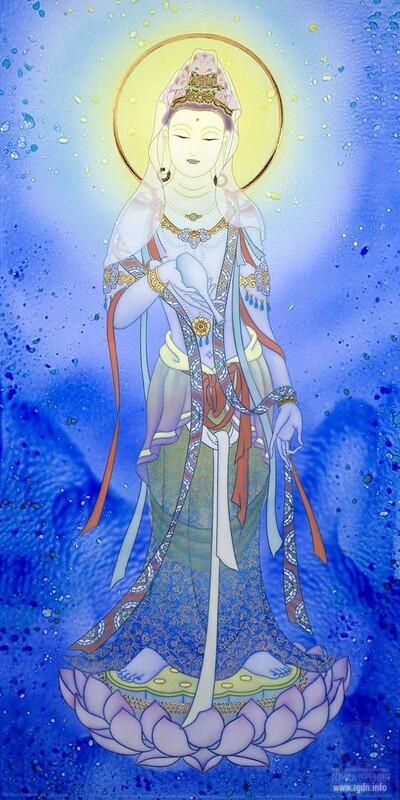 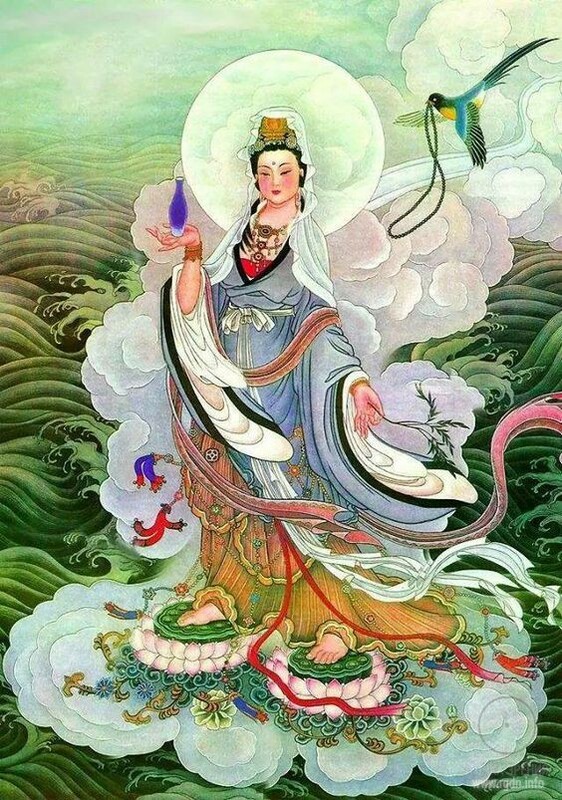 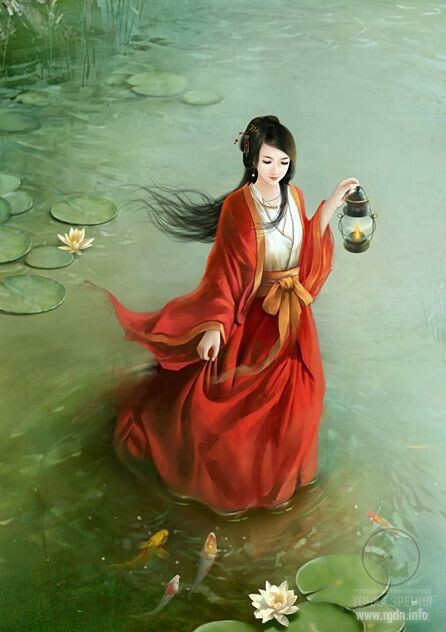 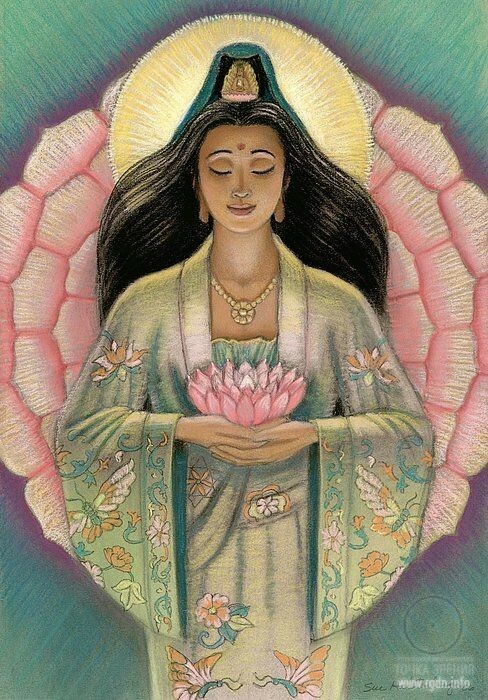 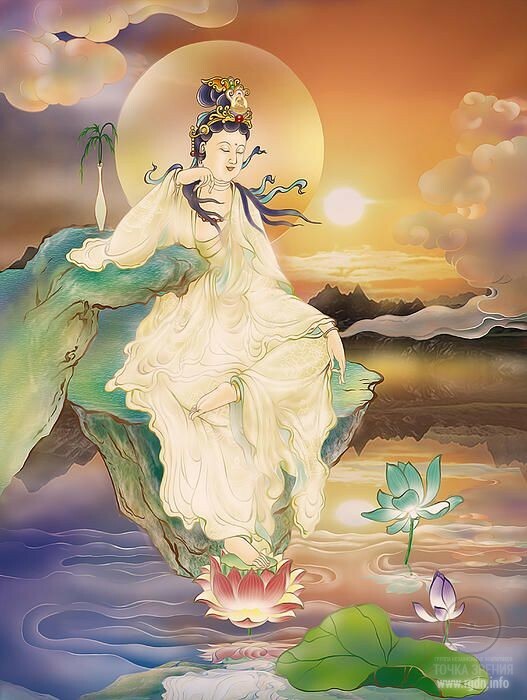 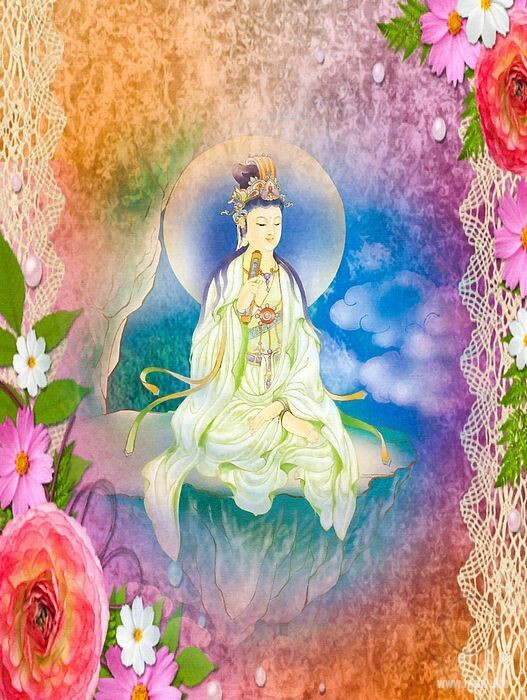 Her luminous image comforts, touches and gladdens one’s heart, and the most cordial words come to one’s mind and mouth. 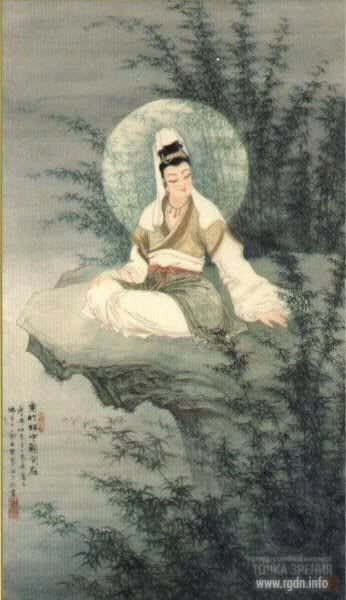 I won’t write a lot, since any myths and legends invented by people are simply needless here. 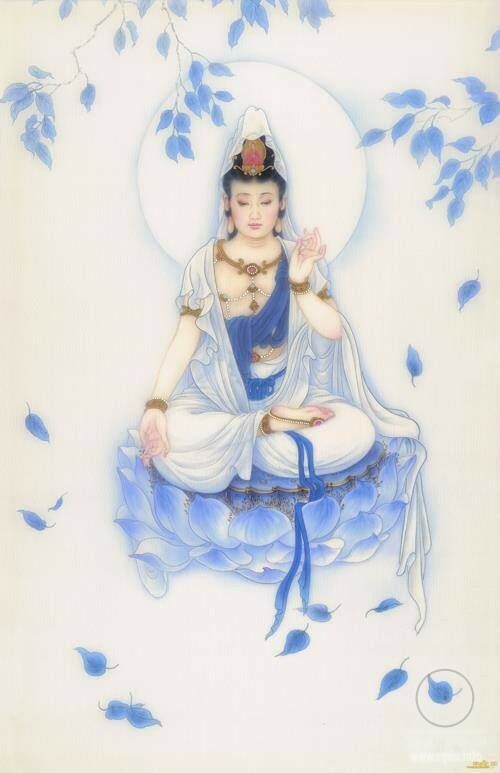 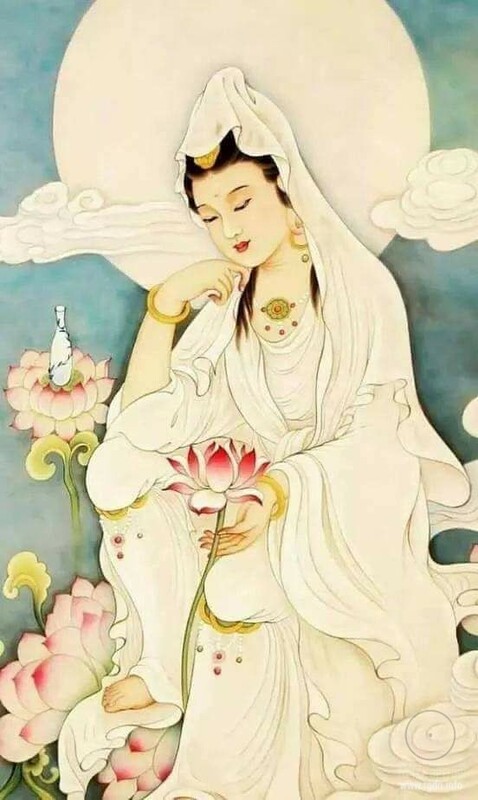 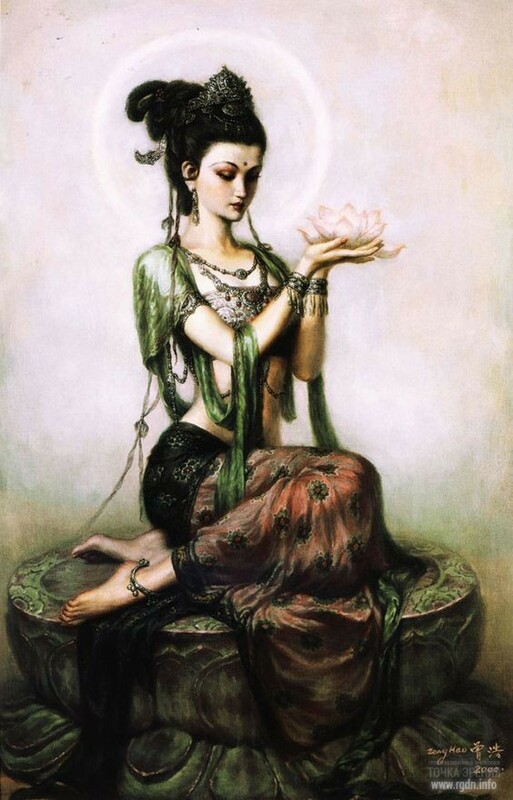 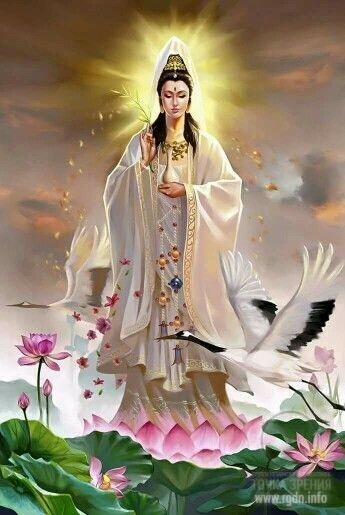 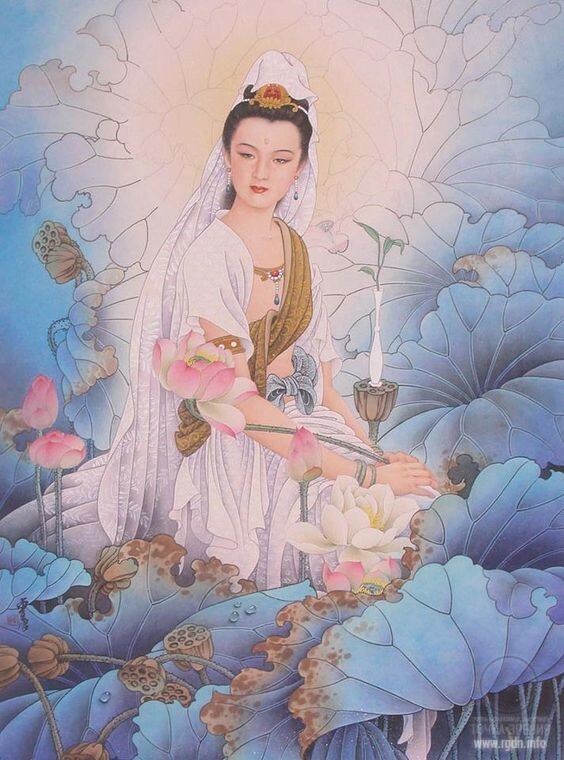 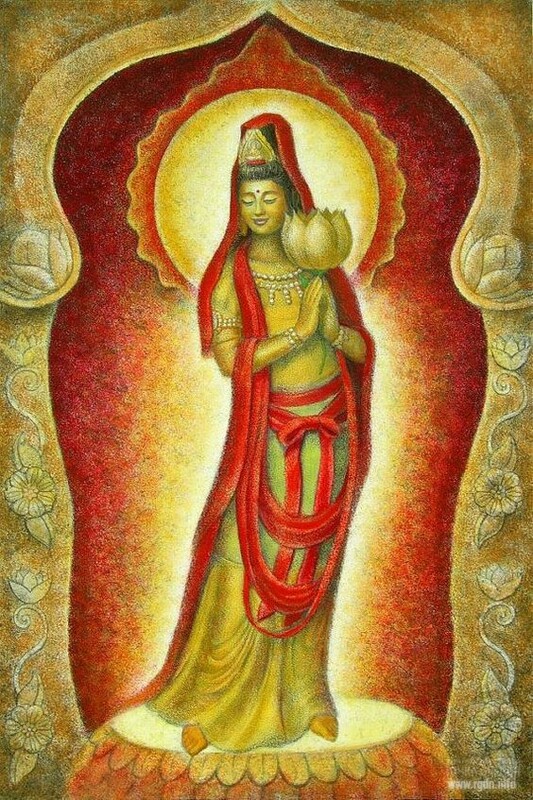 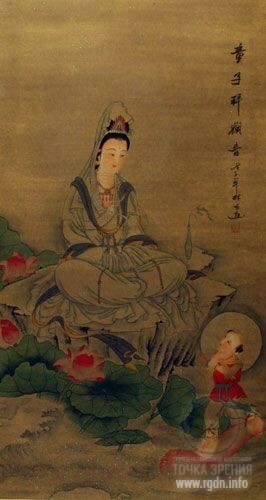 The Glorious Virgin on the Lotus – who else could better symbolize spiritual Knowledge, generative heavenly powers, perfection and eternity in the Single God? 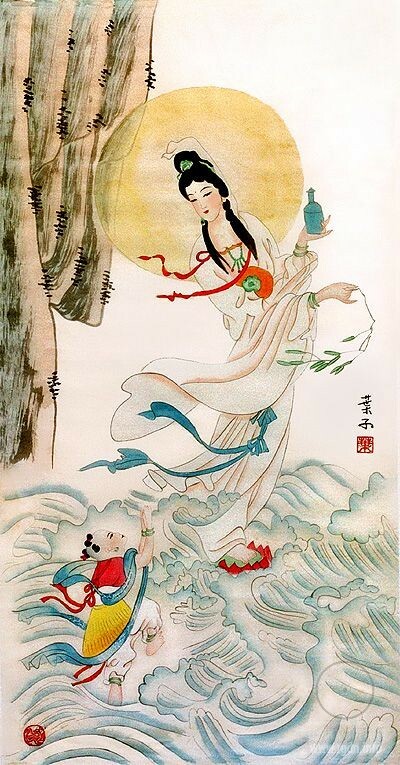 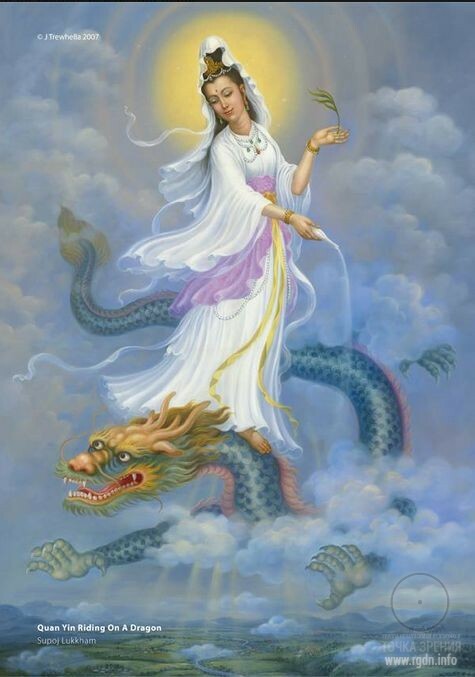 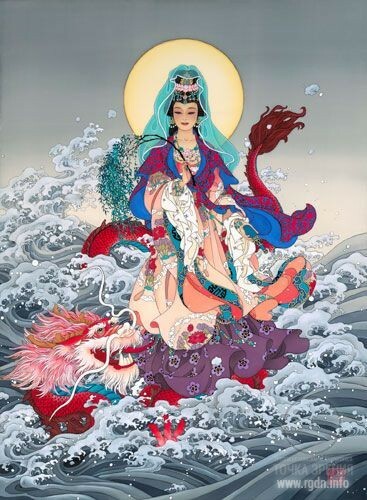 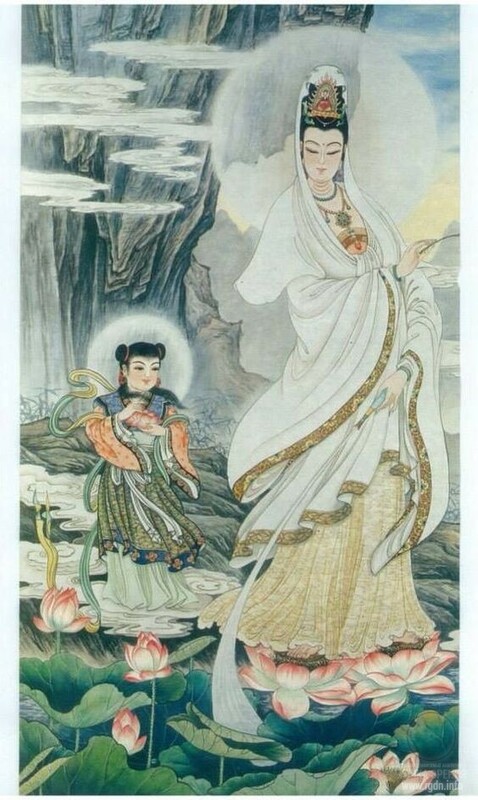 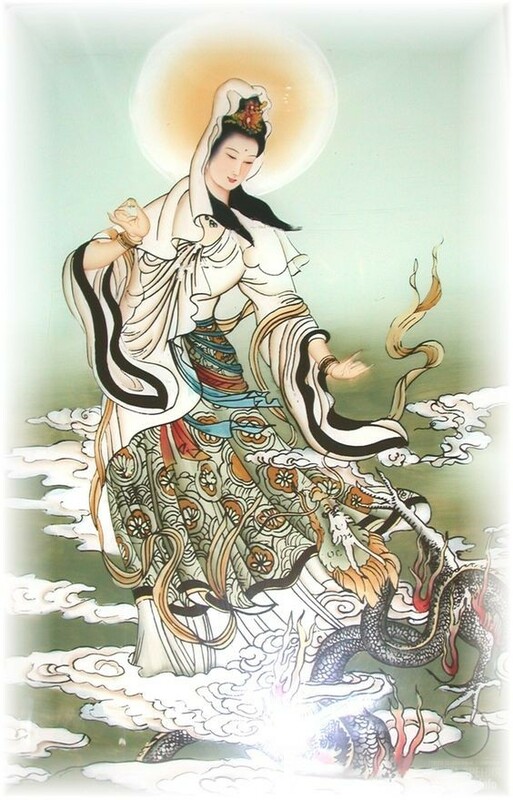 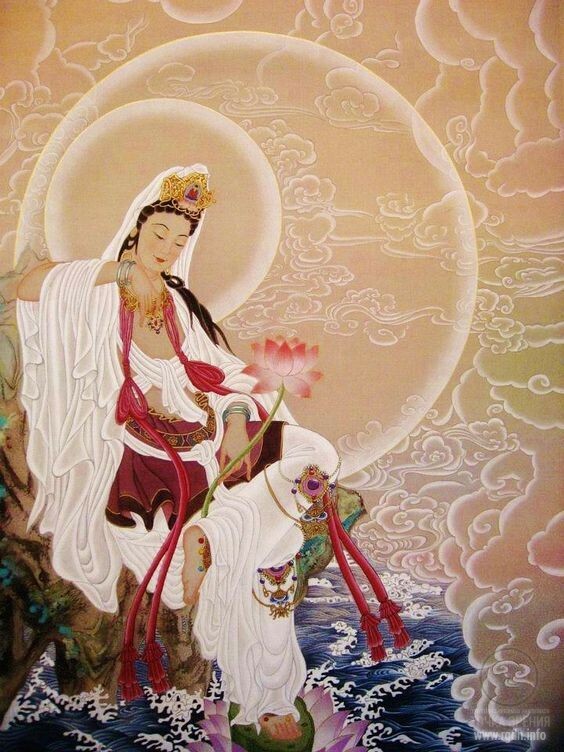 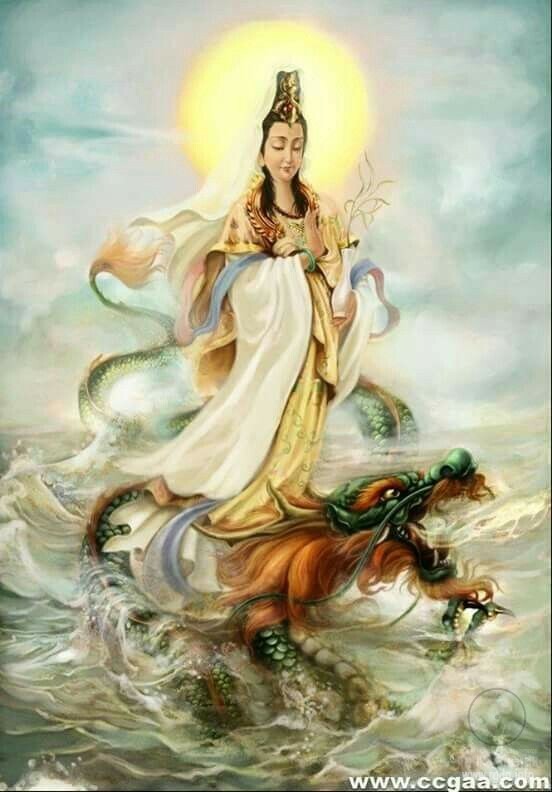 The All-Powerful Virgin standing on a dragon – isn’t she the Mary trampling on the serpent? 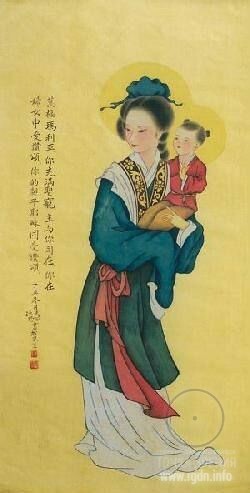 The sweet Lady with a child in her arms – isn’t she the Foremother revered in the cult of the Mother of God since the beginning of time? 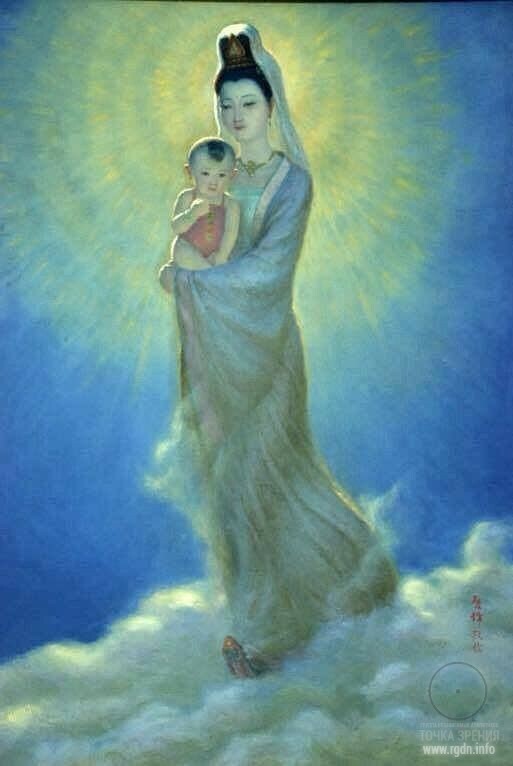 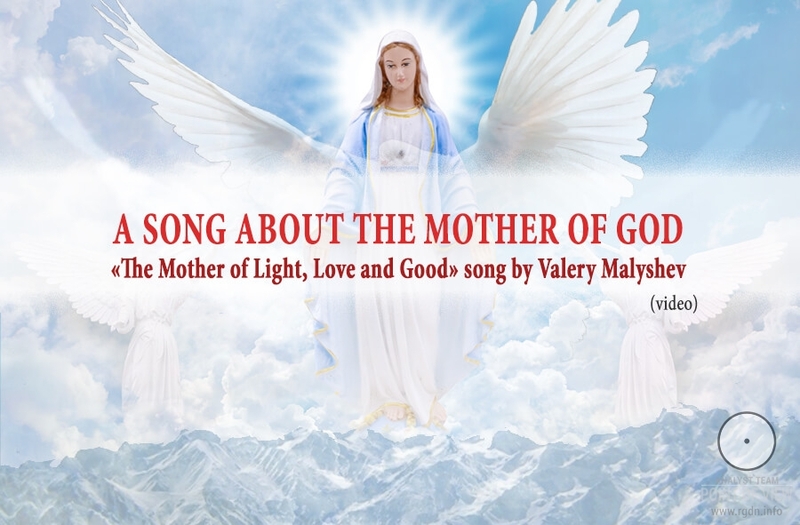 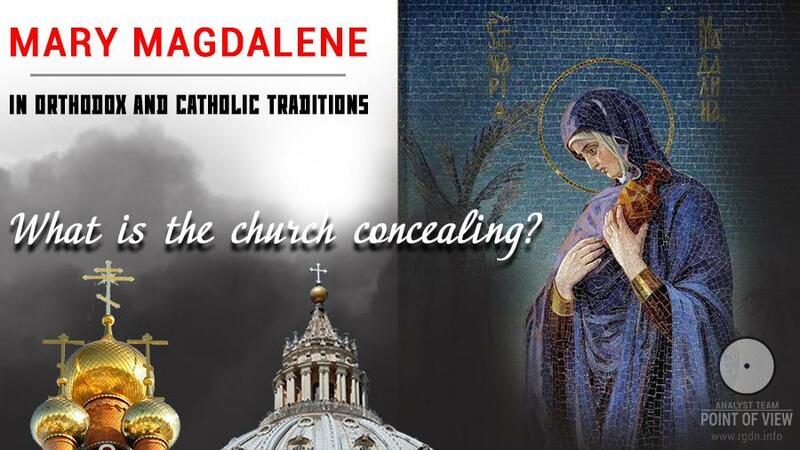 The loving Mother shedding divine love from heaven and nursing a little human being who longs for her – isn’t she the Mother of God who via Allat gives birth to a new God, a new Angel, a spiritually liberated personality? 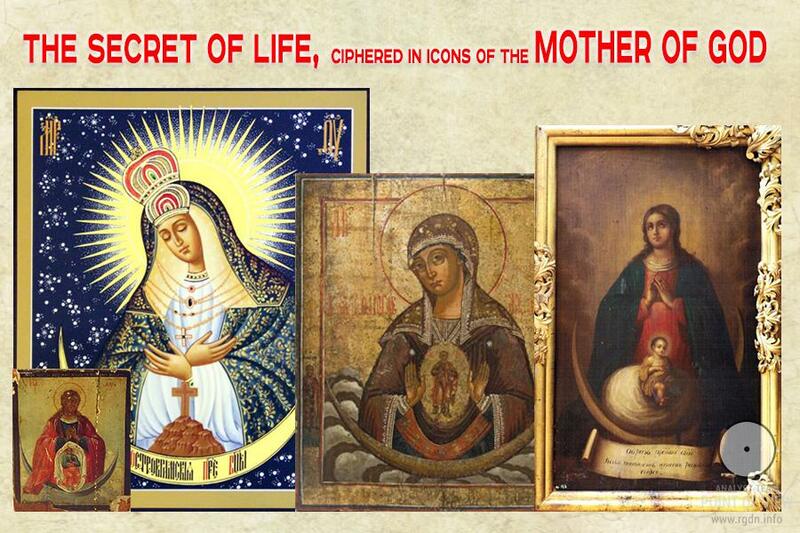 Look how many familiar symbols the images below contain!